Each Tuesday we will highlight a technology tip of the week brought to you courtesy of the LTC-1S. You can also get these great technology tips by following us on Facebook. If you have a great technology tip that you would like to share send them to Joel and maybe you can be featured in our Tech Tip Tuesdays. Enjoy! A really great online tool and app for the iPad is called Educreations. You can use the educreations to create some really nice video lessons and share them with your classes. It is available for the iPad and can also be used through a web browser that supports flash. You can create your own video lessons or use video lessons that have already been created by sharing the links. Check out www.educreations.com to learn more. Did you know you can you use Google as a calculator? That is right you can simply type in equations into Google and it will give you the answer. You can do basic stuff like 6+2= or 6*8= and hit enter and you will get the answer. Using Google as a calculator will even do more advanced equations as well. Say you wanted to know what 155(7*8) + 4(3+72)=. (8980 in case you were wondering) Try out some equations and see what the answers are. There are tons of resources available on the Internet but not all are created equal. Two websites that have lots of educational material are the topic for today. The first is Khan Academy www.khanacademy.org. Khan Academy has information covering Math, Science, Economics, History, and even Exam prep guides. These topics are all covered in depth through short videos. Khan Academy has over 3000 videos on all these different topics. For example you can learn to program For Loops in Python through a video on Khanacademy.org. The second site is udacity.com. This site offers college level classes(currently most of them are in Computer Science) for free taught my instructors from Stanford, University of Virginia, and MIT. Yes, that is college level classes taught for Free. You don't get college credit but you do get the knowledge. There are several sticky note sites available online for free. Two good ones that I am aware of our wallwisher.com and corkboard.me. Both are great sites and relatively easy to use. Wallwisher is more in depth and has more options for you to customize your sticky notes. Corkboard.me may not have as many options but is a pretty simple, straight forward one that you can quickly start using. Either of these can be a great way to add some technology and excitement to your classroom/lesson. Sometimes it comes in handy to scroll in a web page by just using the keyboard. Did you know you can do this by using the space bar? Using the space bar allows you to scroll down a web page without using your mouse. Now that you have tried that out you have got to be wondering how to get back to the top. Simply holding down the Shift + space bar lets you go back up. Now you can scroll web pages mouse free on both your Mac or PC. One side note, space bar for scrolling will not work if your cursor is in a text box. Most of you I am sure know what Dropbox is. If you don't, it is a free online service that allows you to store files in the Cloud that you then can access from any computer you may use. This comes in very handy if you work between mutliple computers and you need access to your files. The free Dropbox account starts off with 2GB of space. 2GB of space isn't bad but it is always nice to add some space for free before you have to begin with the pay models. One way to gain some free space is go to www.dropbox.com/free. If you complete the different tasks listed there you can gain up to an extra 640MB. Most of the tasks involve using social media to promote Dropbox. On March 30th Facebook is making all the pages change to the timeline format. If you noticed the PDA went ahead and switched to the new format. A quick tip about the cover photos. The maximum size of the cover photos is 851 pixels wide and 315 pixels tall. If you choose pictures less then this they get stretched. If you scale your picture to those ratios it will not distort the picture. 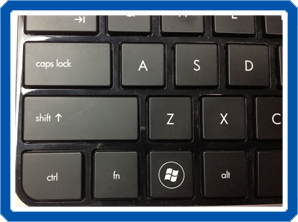 Two Windows Key shortcuts that I use frequently are Windows Key+L and Windows Key+D. Windows Key+L locks the computer and forces you to enter your password. This comes in handy if you need to step away from your desk and you don't want someone to access your computer. Windows Key+D will show your desktop. This quickly shows your desktop without closing the open programs and folders. Pressing Windows Key+D again will restore the windows you had up before you hit Windows Key+D. This comes in handy if you need to review a recently downloaded file or quickly get to a shortcut on your desktop. Hopefully, these two come in handy. There are a lot of keyboard shortcuts that many of us use on a daily basis. There are special ones for the different OSs, programs, web browsers, etc. I will just give you ten of them here that I would say I use on almost a daily basis. Actually I have just used several of these putting together this little Tech Tip today. Most of these are pretty self explanatory. These are PC based ones but a lot of the Apple equivalent ones simply replace the Ctrl with Command. Here is a tip that comes in handy, screenshots. Sometimes it is nice to show an example of what you are explaining on a webpage or within a program. There are actually several ways to do that on both Windows and Macs. In Windows you can use the Print Screen(sometimes abbreviated prt sc) button. This takes a screen shot of your entire desktop. Very useful but what if I want to just capture the program I am working in and not all the icons on my desktop? Never fear the Tech Guy is here! You can actually use Alt+Print Screen to capture just the active program. Now after trying this out you are probably thinking I am crazy, nothing happens when I do these combinations. It quietly copies it to your clipboard where you can then paste it into a photo editing program, Word, PowerPoint, etc. Remember you can edit those pictures as well to get just the right portion showing. Starting with Windows Vista and now 7 you can also take screenshots using the snipping tool. I personally think the keyboard shortcuts for this are a little easier and quicker to use. Check them both out and you can decide which one you like better. I don't want to leave our Mac users out so yes you can do screenshots on a Mac. In Mac OS X or later to copy a screen shot to a clipboard you would do Command-control-shift-3. There are lots of other screen shot options for the Mac which can be seen more in depth here. Have you ever been typing a text message and wondered why it is only 160 characters? You can thank Friedhelm Hillebrand for setting the standard at 160 characters. He came up with this number after counting the number of characters and spaces of many random sentences and questions he typed. Most all of them were less then 160 characters. Twitter messages which are 140 characters is based off of text messages. The 20 character difference allows for the users unique address. If you would like to read the whole article about text messages click here. I have all these programs open in my task bar I just wish I could see what they are without clicking on each one. Ah ha, I can see what they are! You can use Alt+Tab to toggle through all the open programs you have in your taskbar. This feature does work in Windows 7 as well. For you Windows 7 users I will give you one more. Use the Windows Key+Tab and you get to toggle through all the open programs with a 3D view of the Window. Give it a try it is a nice way to quickly move between open programs. I know, I know, you are thinking we have our days off. This is a special bonus to mark the first-ever Digital Learning Day. To mark Digital Learning Day we are telling you about a tool you can use in your classroom. You can create your own text messages and save the picture at ifaketext.com. You could create your own text message to start a discussion on a topic or answer a question in your new unit. What a great way to get your students excited about what they are learning. Check out these examples below. Click on each image for a larger view. Click, Click, Click, Click. Most of you probably already know that you can click and drag right or left to select a word to copy, paste, delete, etc. Did you know that you can double click on a word to quickly select it. If you triple (yes I said triple) click on a word you can quickly select an entire paragraph. Both of these work in programs as well as in web browsers. However, if you are clicking on a link online it will follow the link not select the word. Have you ever wanted to zoom in on text or pictures in your web browser? You actually can do this. If you hold down Ctrl and use the '+' and '-' keys you can zoom in and out in your web browser. On Macs, it's the Command key and plus or minus. Happy zooming! QR (Quick Response) codes are two dimensional barcodes that have become popular since many people now have cameras on their phones. They can be used to share text, links to websites, marketing material, etc. They could also be a great way to incorporate technology into your own classroom. What a great way to get your kids excited about a set of questions. These codes can be scanned with free apps available on many smartphones. There are many websites available online to generate your own QR codes. Two that we have used are www.qrstuff.com and i-nigma.com. 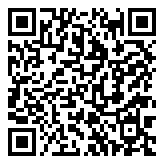 I-nigma also has an app available that can be used to scan QR codes. We hope you enjoy playing with this fun new technology as much as we have. Normally in Microsoft Word you select text horizontally (a word, paragraphs, etc.) from left to right or right to left. What if you have a column of text in a paragraph that you want to select? For example maybe you want to select the beginning headings of an outline. To make vertical selections, hold down [Alt] as you drag through the text you want to highlight. Click on the pictures below to see an example. Here is a simple but very useful one. Are you looking to find information on a web page? Hit Ctrl+F, this will bring up a find box that allows you to search the page.